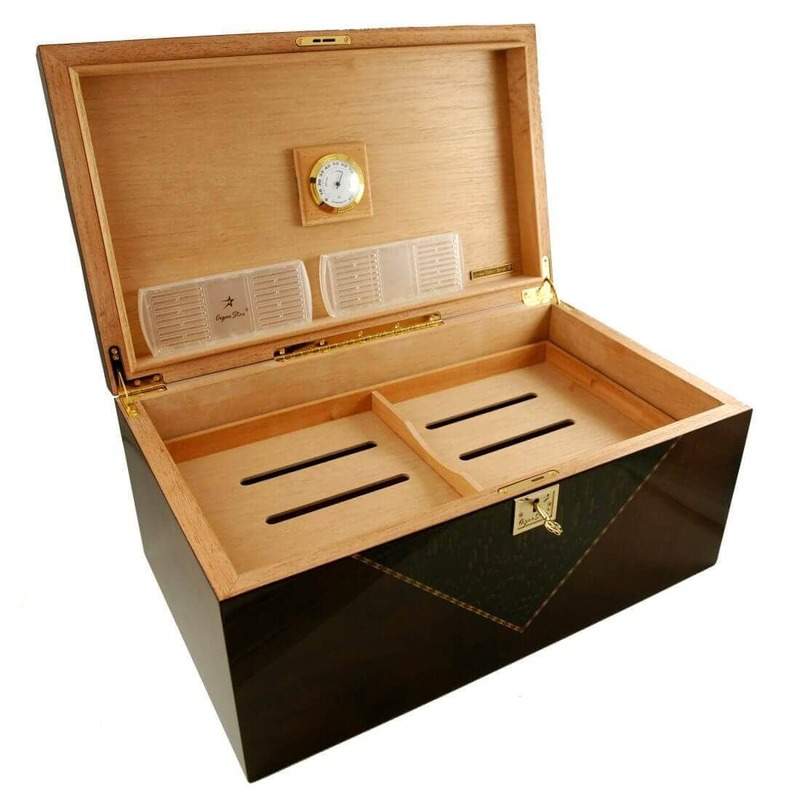 HomeStoreHUMIDORSLIMITED EDITION HUMIDORSCigar Humidor Colossal Royal 350-400 Limited Edition with electronic humidifier. 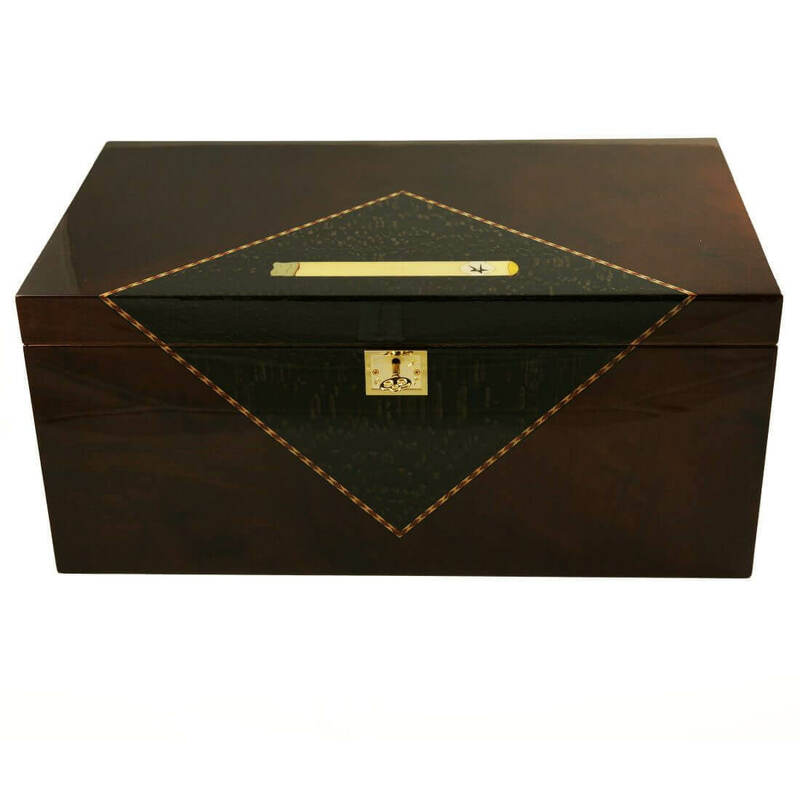 The Royal Cigar Star Humidor is the last desk top cigar humidor you will ever need. 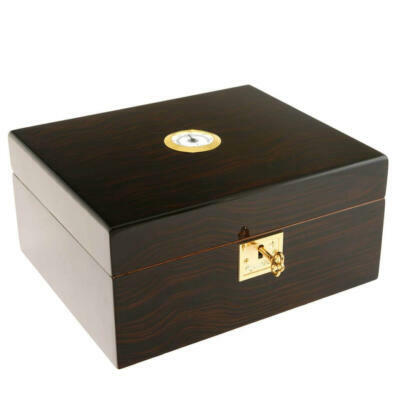 Enough room to safely store 350-500 of your most precious sticks. No room for a full size cabinet humidor? 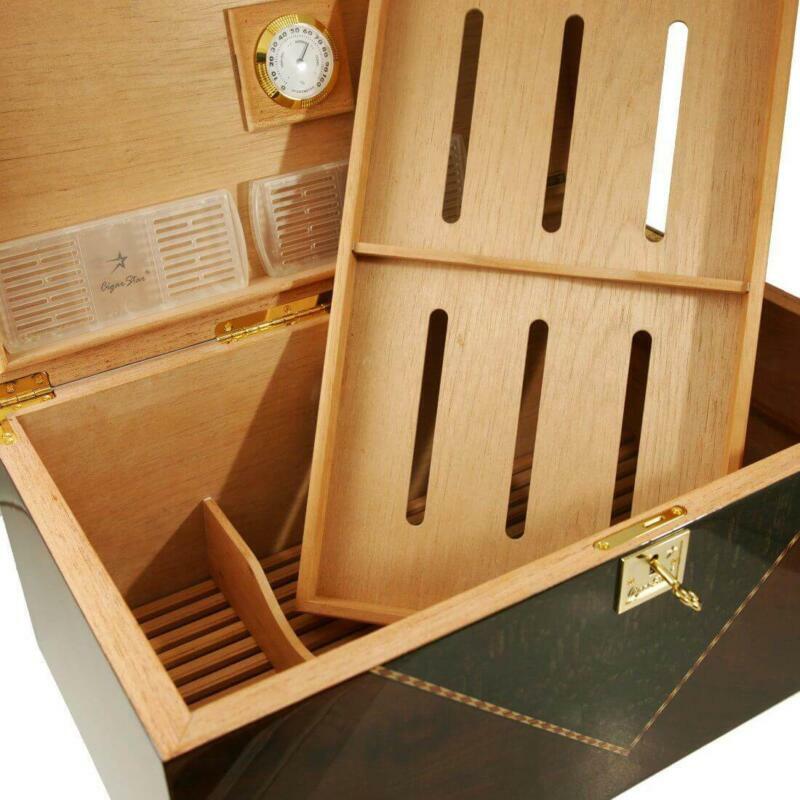 This humidor is your next best thing without taking up floor space. It is the best cigar humidor sold in Canada! 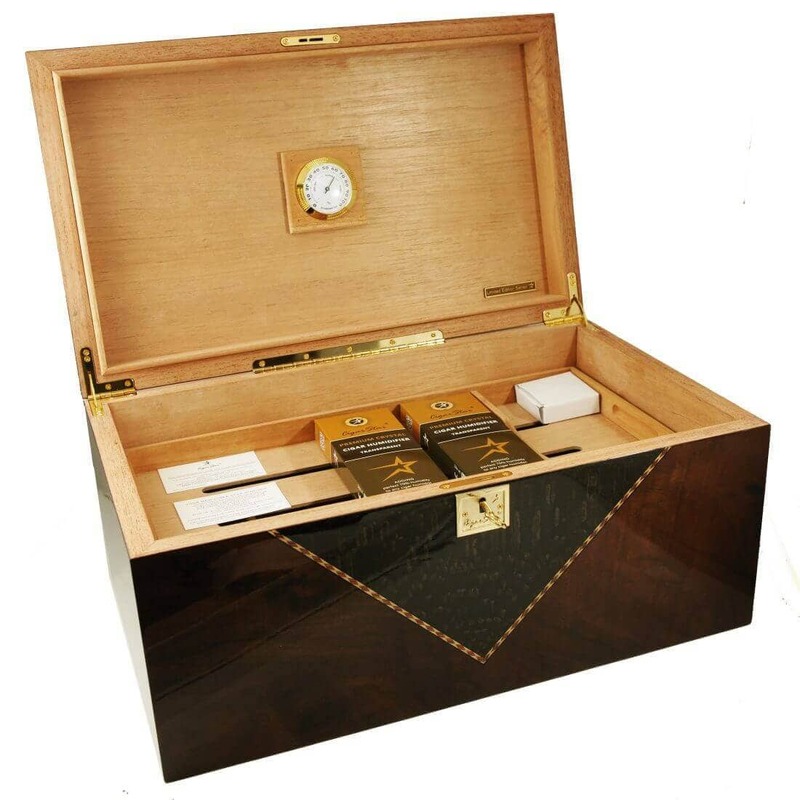 Looking for a cabinet humidor but don’t have the room? We have the answer! 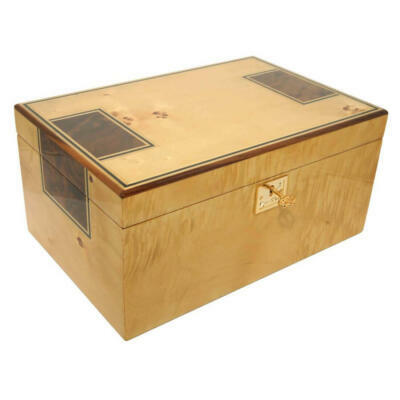 Our colossal Royal desk top humidor is just that colossal in size. 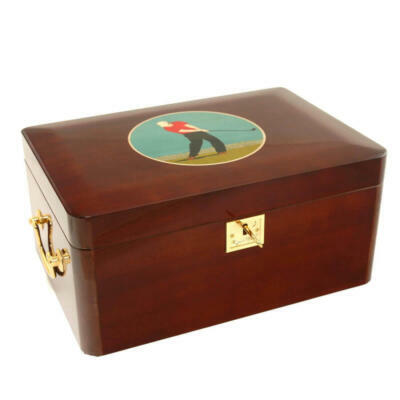 This is sure to be the last desk top humidor that you will ever want or need. 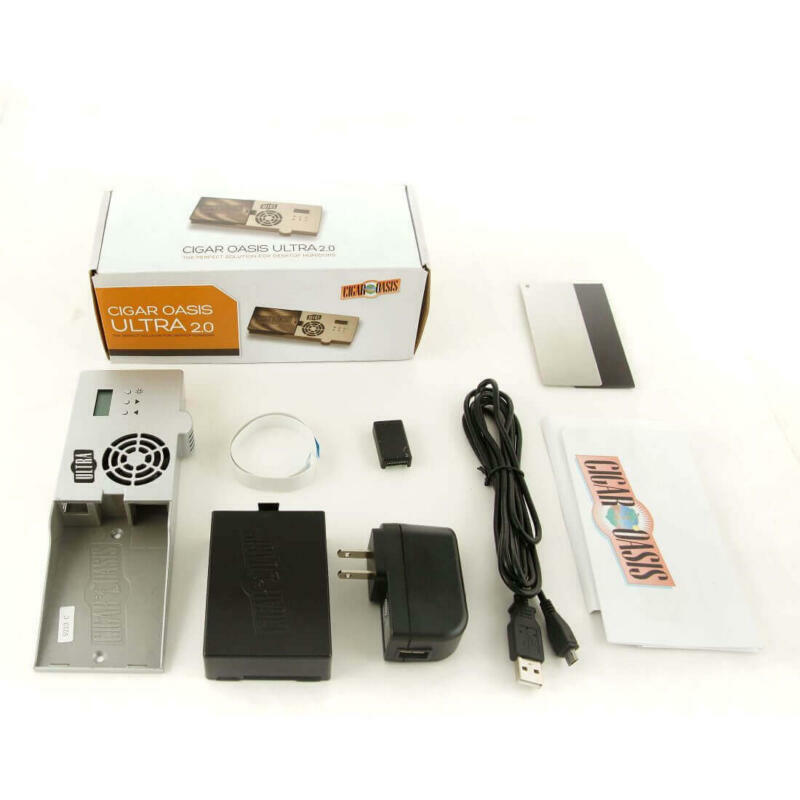 Includes a Cigar Oasis Ultra electronic humidifier. 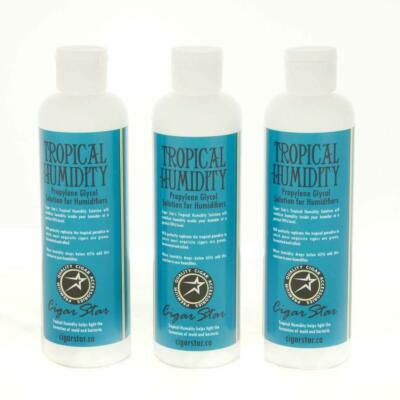 Also you receive two 150 crystal bead humidifiers to ensure perfect humidity inside your cigar humidor all year long with airflow inside your humidor. King of all desk top humidors in our Limited Editions Cigar Star Humidor line. The largest desk top unit available with out having a cabinet humidor! 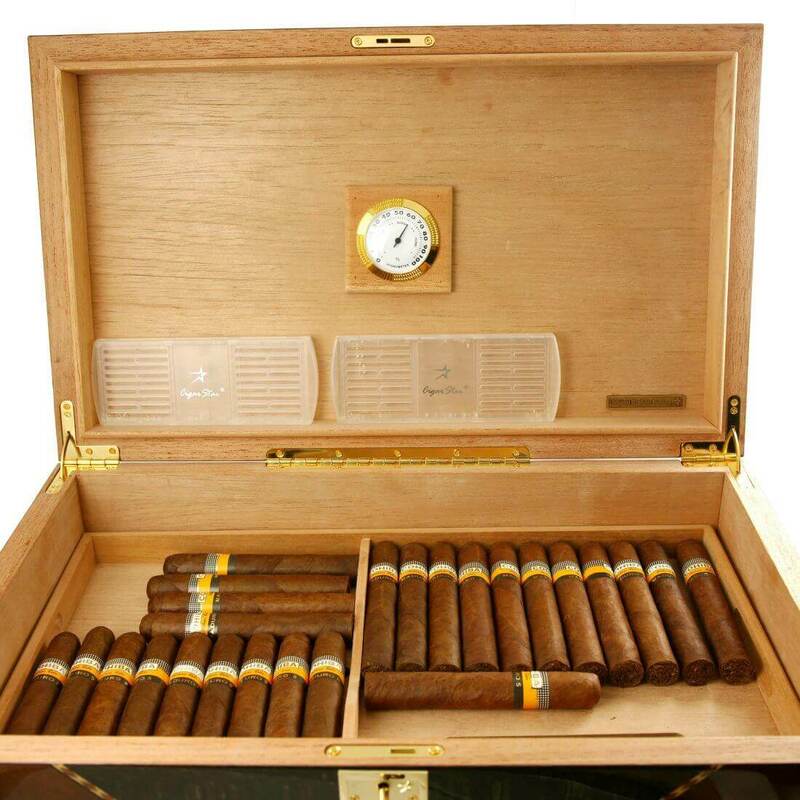 No room for a full size cabinet humidor? 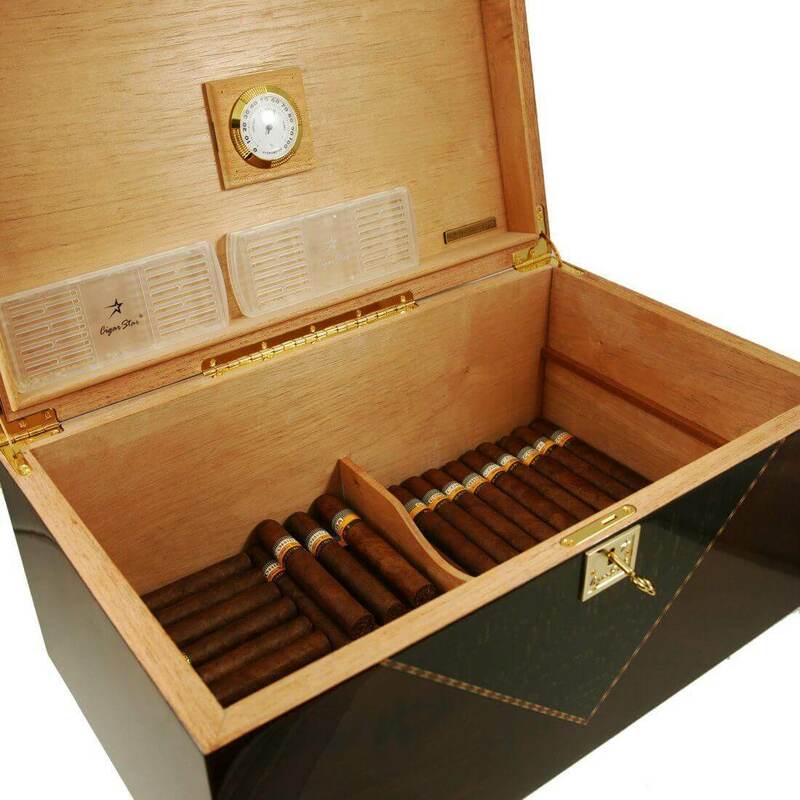 This humidor is your next best thing without taking up floor space. 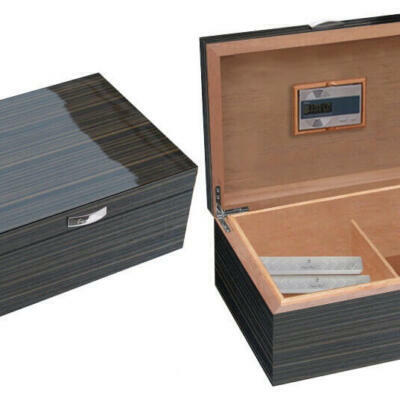 It is often referred to as a foot locker size humidor. 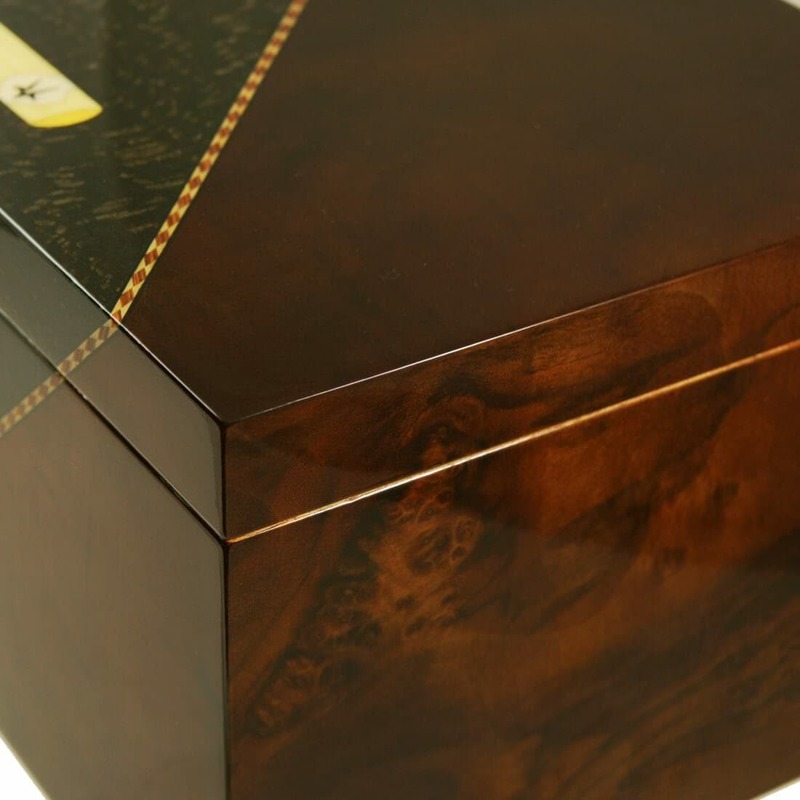 Beautifully hand crafted from Walnut Burl wood. Highlighted with a diamond pattern Snake wood inlay on the top and front of the humidor. 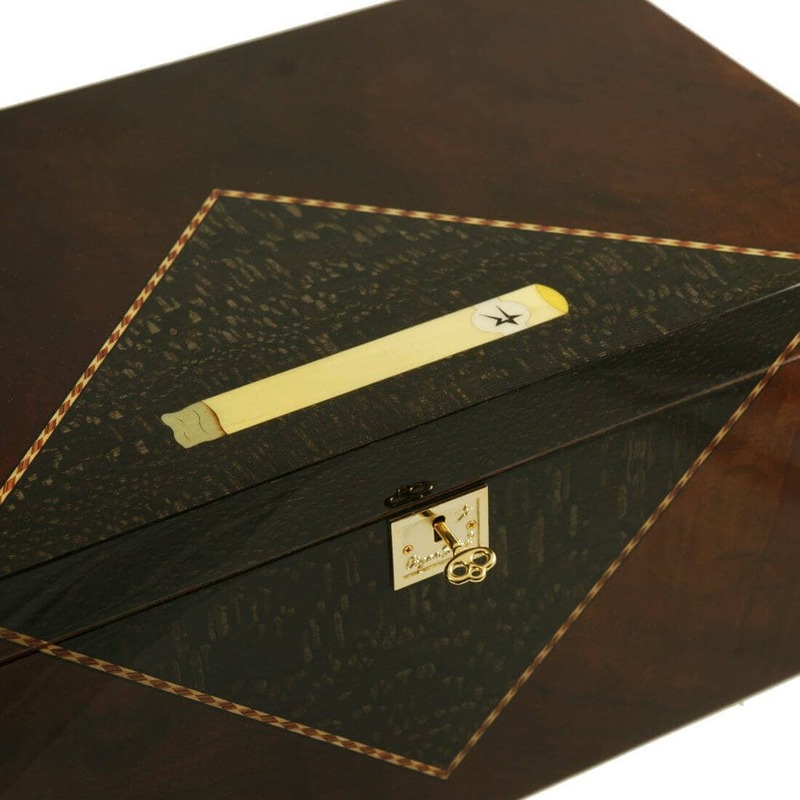 Our signature Canadian Maple cigar inlay to contrast with the Snake wood incredible grains. Special wood combinations and colors specifically chosen to reflect any décor. 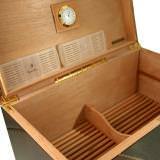 Only the highest quality kiln dried Spanish cedar inside. 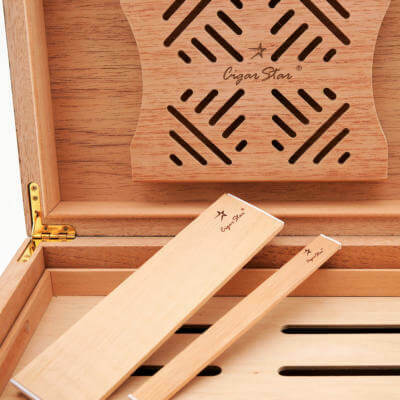 Including solid Spanish cedar air flow grate that ensures even distribution of humidity to the bottom cigars. 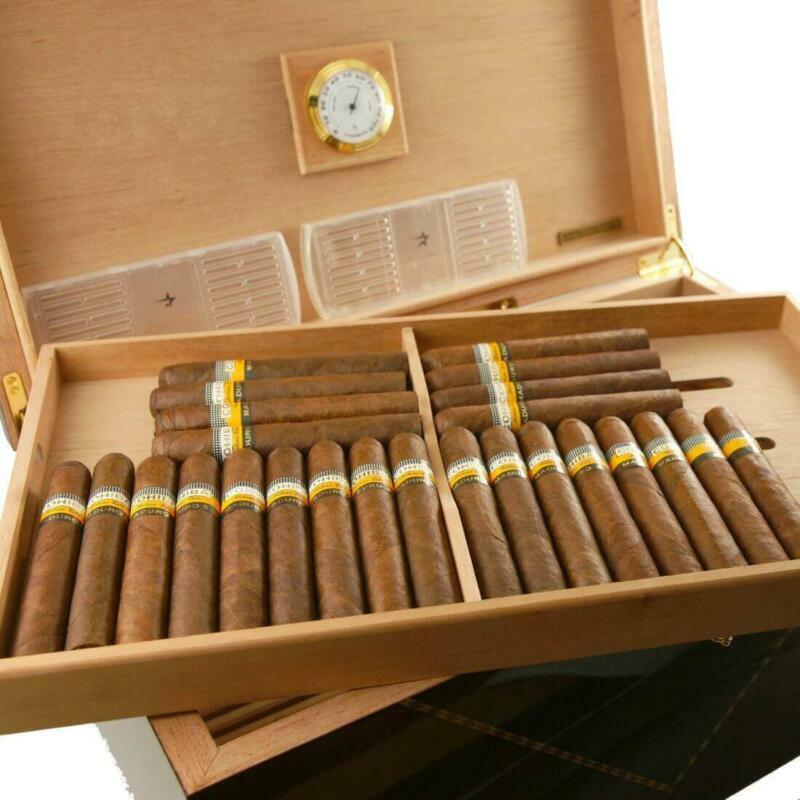 The same top quality offered in all of our limited edition humidors. Details need to be seen to be appreciated, the wood grains enhanced from every angle. 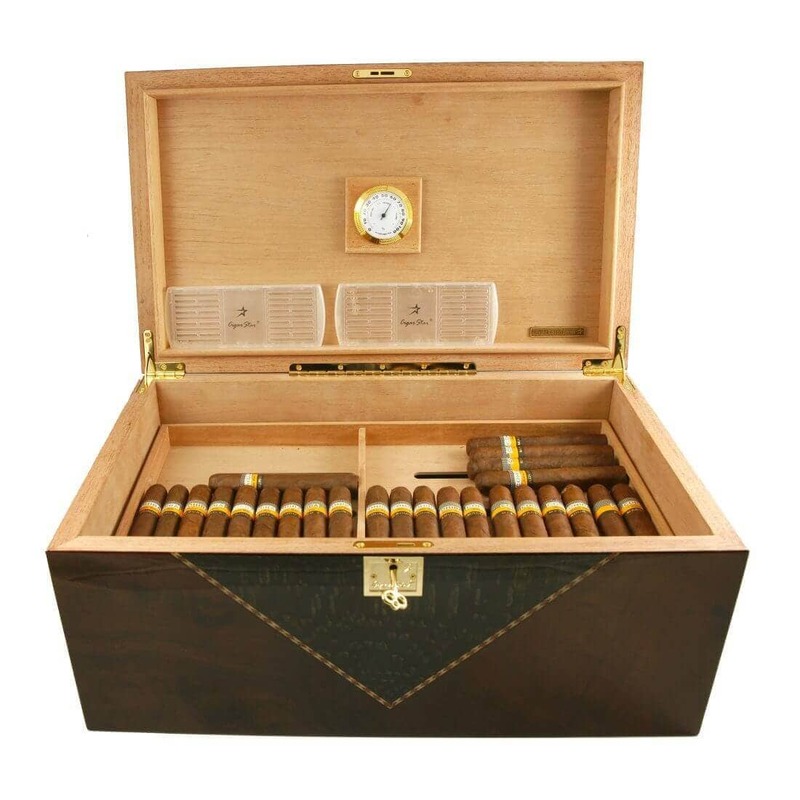 Form and function make this a top pick for any cigar aficionado. 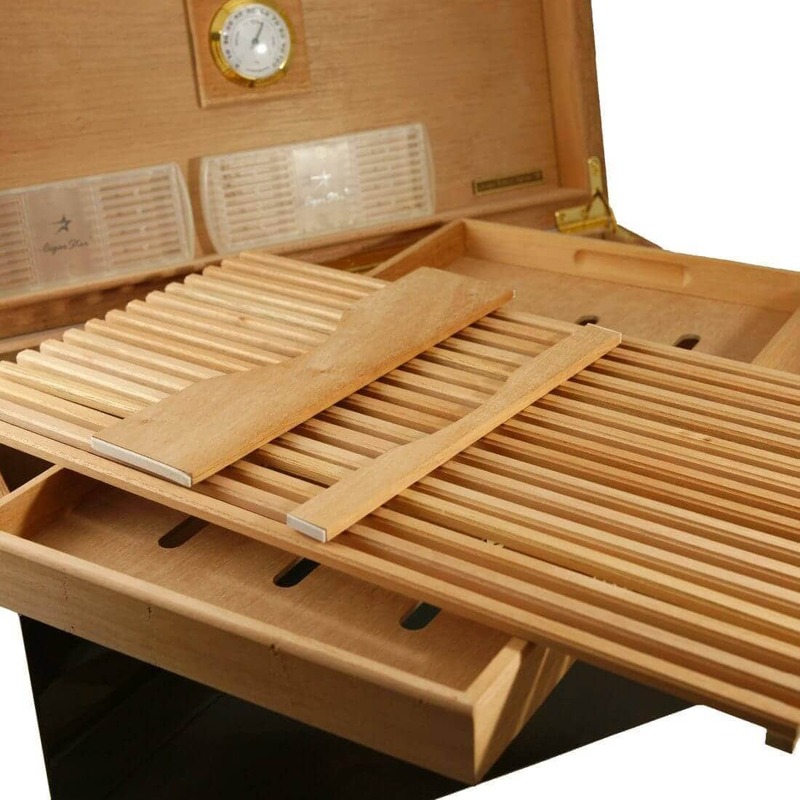 • Solid cedar airflow rack, improves humidity airflow throughout the unit. • Spanish cedar removable dividers and removable shelving. 2 reviews for Cigar Humidor Colossal Royal 350-400 Limited Edition with electronic humidifier. Bought this humidor over a month ago. The staff at Cigar Star were very friendly and accommodating. 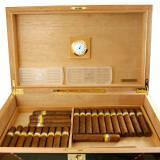 As for the humidor, I have to say I am very impressed. 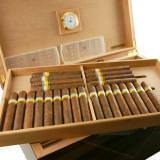 I received it about a month ago and went through the seasoning procedure that is outlined on the Cigar Star video. Everything worked out great and the humidor is holding steady at the perfect humidity. I like the size of this particular unit. I have no intention of putting 350 cigars in it, but do like the extra room. I would likely put up to 200 in it. Then you still have room for the humidifiers. If I had one wish list about this model, it would be that it come with a couple more dividers. One for both the bottom and top tray. I believe Cigar Star will be fabricating some soon! Very happy with the purchase! THIS HUMIDOR IS MASSIVE! 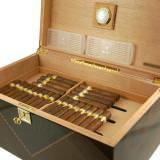 Even though size is in the listing when I received this humidor I could not believe how big it was until I unpacked it. 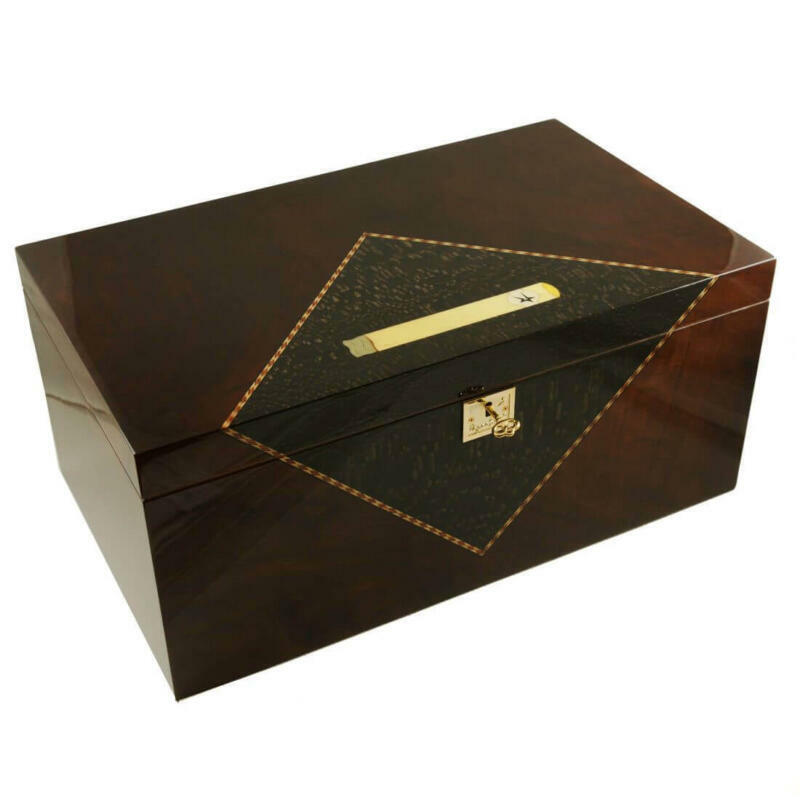 I love the Walnut finish such a wonderful wood and the snake wood and cigar inlay…. Speechless! Seal is perfect! Thanks Cigar Star keep up the great work!